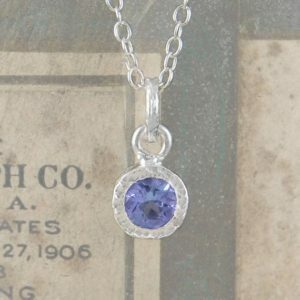 Shop genuine tanzanite pendants handcrafted from natural stones. 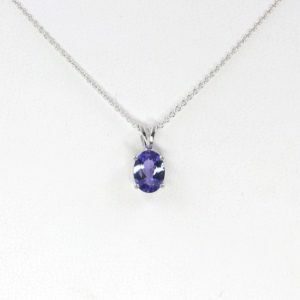 We carry a variety of beautiful healing tanzanite crystal pendants to choose from. Tanzanite Pendant Meaning By harmonizing and linking the heart and third-eye chakra, Tanzanite is a powerful stone for activating compassion and increasing the ability to speak the truth in your heart. It is an integrating stone that helps awaken an enlightened consciousness based in wholeness. Visit Tanzanite Meaning & Properties for more about the benefits of tanzanite. Natural Periwinkle Tanzanite leaf pendant. 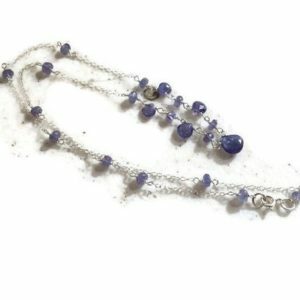 Blue tanzanite necklace. Tiny tanzanite carved gem charm. Sterling silver. Purple jewelry. Tanzanite Silver Pendant. Tanzanite Gemstone Pendant. Tanzanite Drop Shape Pendant. Tanzanite Necklace Tree Leaves. December Birthstone. 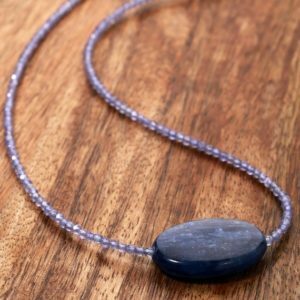 Long Gemstone Necklace,Party necklace Christmas Gift,Birthday Gift for her,Micro faceted Tanzanite long pendant necklace,Gemstone Necklace. 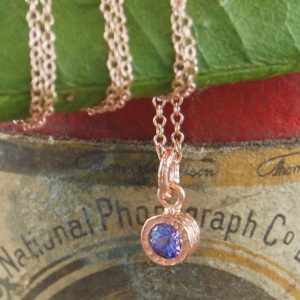 Tanzanite Necklace, Small Necklace, Tanzanite Pendant, Tanzanite Jewelry, Oxidized Sterling Silver Necklace, CircesHouse, "Violet"
Thank you for shopping for Tanzanite Pendants! Tanzanite healing properties include: communication, joy, mental health, wisdom. We have scoured Etsy to find the best genuine tanzanite pendants. We look for handcrafted & handmade, unique, OOAK, & high quality natural gemstones.